So what plan do you usually have at weekend, Moms? Anything to do? There is always a thing to do at weekend specially if you have more than one kid. Mommy usually the person that has always made an idea what to do on weekend, just like me :D. Hubby said that because there is a lot of 'tikus' that running around inside my head, that's why I always have an idea to do something, lol. Anyway, I have the idea to cook on weekend - this the last idea if we decide to do nothing on weekend. So I decide to work out on my kitchen instead of companying hubby watching sport program all day. So what will I cook? Anything according to my appetite! Recently, I've been carving soup fish with tamarind taste. I have fish stock on the fridge, many enough with different of fish types. Sybass is our favorite fish at home. 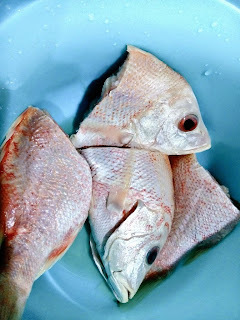 But this weekend I wanna cook my red snapper! Had never been cooking red snapper soup before so that's why I was willing to try! When I buy the fish I always ask the guy to clean it properly the skins (they have very sharp knives that much better than mine). Depending on what would I cook with the fish, but if I'm not sure what to do with the fish I just ask them to clean it and I'll do the rest. Oh yeah, I forgot to mention that for some good reasons I prefer to buy the whole fish instead of just the fillet. The red snapper soup cooking is about 20 minutes. Very easy and all moms can do it I think. The spice can be found anywhere in any Asia market. 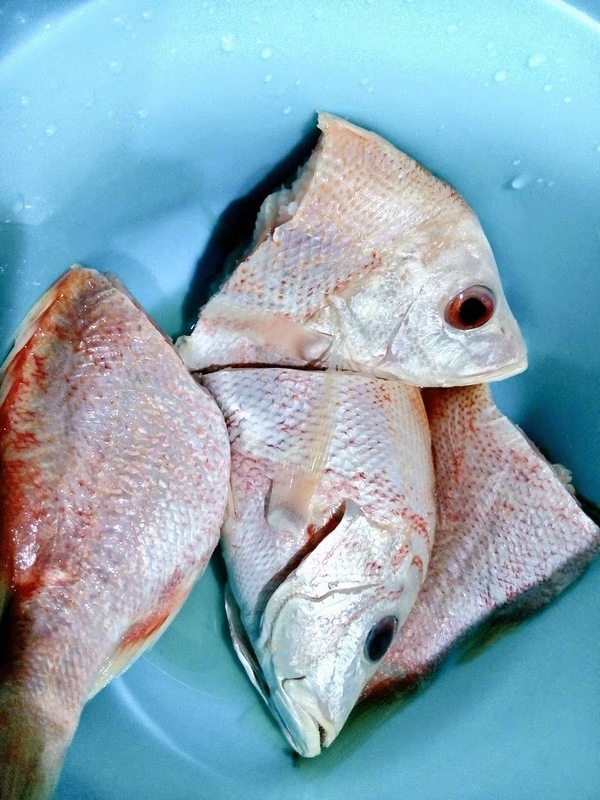 Start with buying two medium of Red Snapper. Buy the very fresh ones. Then prepare all the ingredients needed: fresh chilli, small red onion, garlic, tumeric, tamarind, tomatoes, candle nut, coriander, salt. Put all these spice into food mixer (I prefer not too soft). 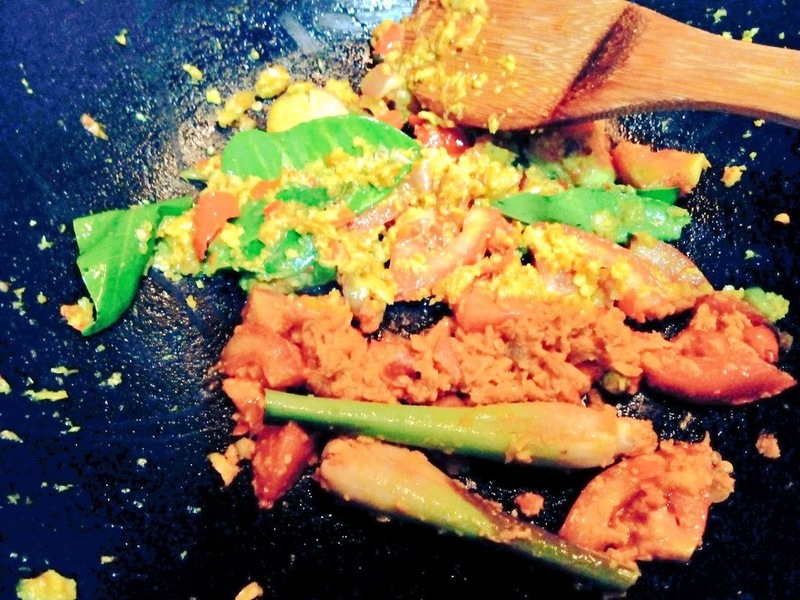 Fried the ingredients afterwards for 2 minutes and add two lemon leaves and one lemon grass. Put the Red snapper and add a bit water. Leave for 15 minutes to cook. Do not stir the fish to mix the soup when cooking it as this way can break the fish very easily. Just gently splashing the soup on top of the fish. I like to add more fresh tomatoes and chilli into the soup on the last minutes before serving. You can also change the tamarind with the Apple Vinegar. The taste is tastier when you eat it while it's hot. 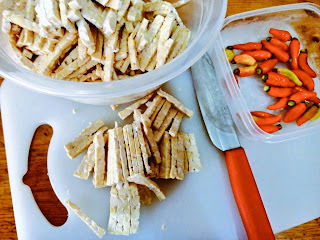 My hubby and son love so much this recipe ❤. You can change with other type of fish but some fish might not suitable with this ingredients, like Salmon for example. 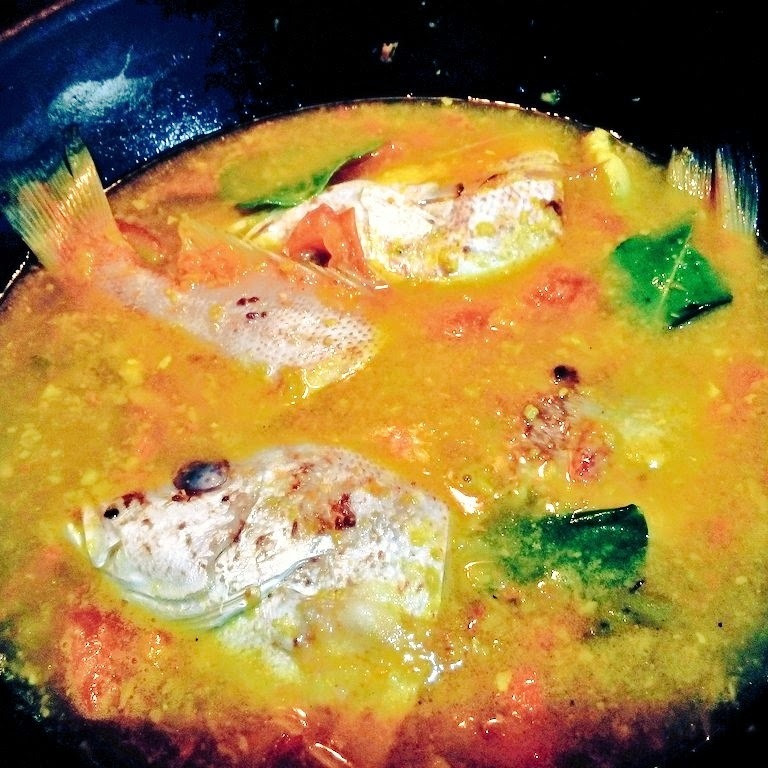 I add extra menu for the red snapper soup with 'Tempe Oreg'. 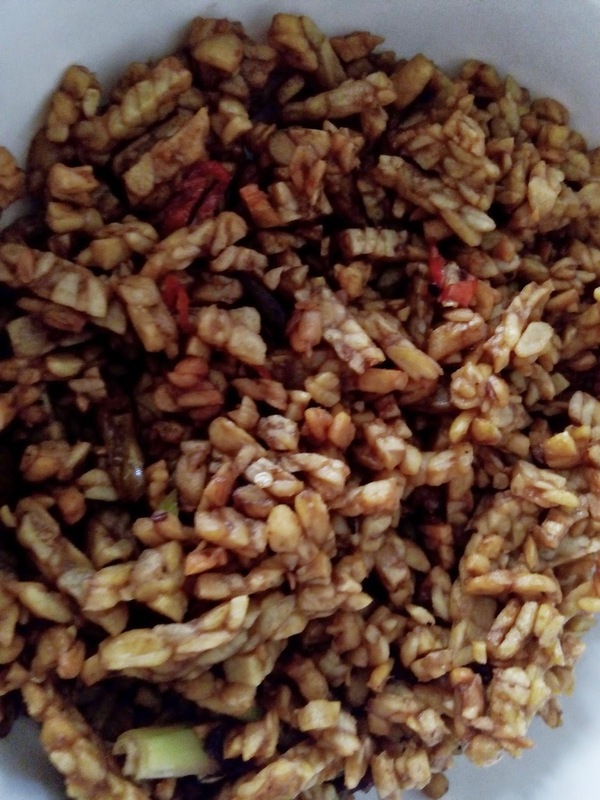 Tempe Oreg is a very traditional Indonesian foods. 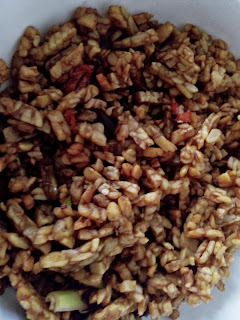 Most everyone knows this food, well know food from Java Island. It will not be perfect for Indonesian people if no 'sambal' in our menu. Most islands in Indonesia have their own 'sambal' ingredient, Sulawesi and Sumatra are the spicy ones! I love talking about foods, I'm just so passion when talking about it. I can be in the kitchen all day just for cooking anything. Crazy, eh? Well, I guess hubby and son love me being there all the time, lol!